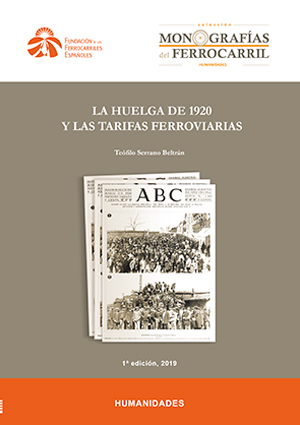 Between 1916 and 1920 the Spanish railway was the focus of important industrial disputes, which, along with other circumstances, ended up marking a turning point in its history. The 1916 general strike made the Government, following the ruling of the Institute of Social Reforms, force the railway companies to recognise the trade unions as social agents. In addition, the establishment of the eight-hour workday in April 1919 meant a significant improvement in the working conditions of the railway workers. All of that ended up merged in the melting pot of the 1920 railway strike, which is studied in this monograph. The author, making use of new sources, analyses the whole process and the strike itself in detail, highlighting its singularities in comparison with previous disputes.